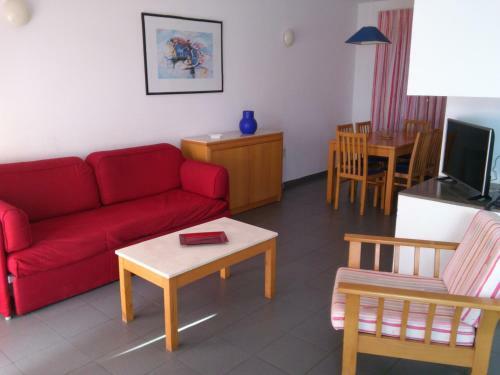 Nice, well equipped, clean and spacious apartment just minutes from the beach. Spacious apartment and plenty of room for kids to play both inside and outside. Little kitchen is nicely equipped. The closest beach is actually 2 beaches connected with a tunnel that turns this short walk into real adventure. It felt like the sand and the water temperature were different on those beaches for the cliff create very peculiar climatic conditions in each and every spot. Surroundings are beautiful, quiet and comfortable place, swimming pool is clean, friendly and helpful staff. Delicious pastry in Cafeteria. Very nice and friendly staff in cafeteria and the restaurant. Great location. Beautiful views less than 10min drive away.kids enjoyed the Playground. Lock in a great price for Quinta Das Figueirinhas & Quintinha Village – rated 8.5 by recent guests! Quinta Das Figueirinhas & Quintinha Village This rating is a reflection of how the property compares to the industry standard when it comes to price, facilities and services available. It's based on a self-evaluation by the property. Use this rating to help choose your stay! 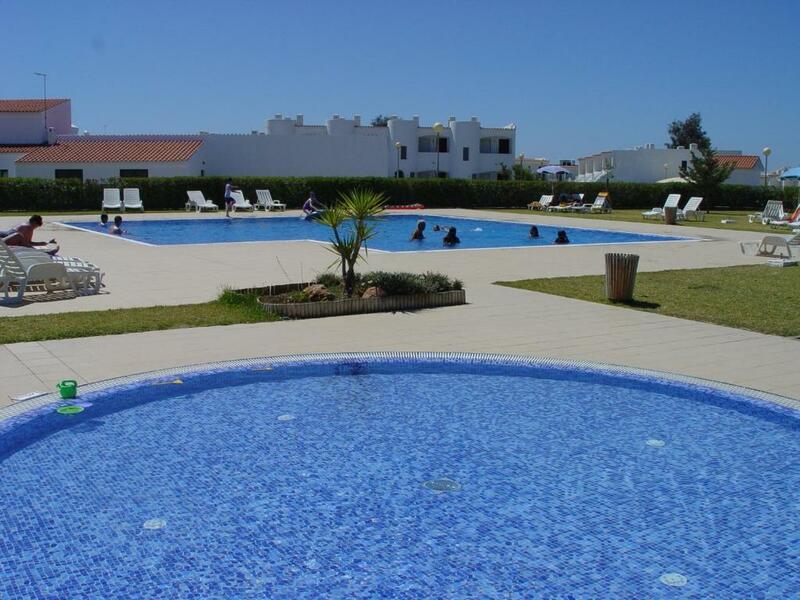 One of our top picks in Armação de Pêra.Quinta Das Figueirinhas is located in whitewashed buildings just 2,650 feet from Senhora da Rocha Beach. 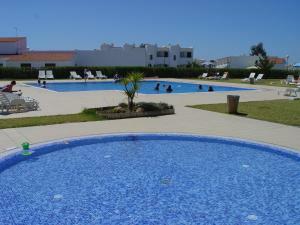 It has landscaped gardens, a large pool and bright apartments with self-catering facilities. Guests can reach cliffs offering views of the Atlantic Ocean with a 10-minute walk. A free hourly mini-bus service shuttles guests to Armação de Pêra town. 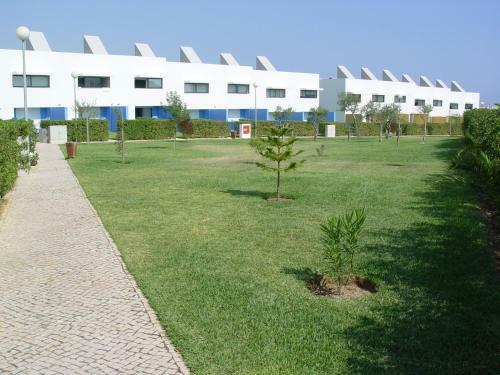 Faro Airport is a 30-minute drive away. Quinta Figueirinhas’s spacious apartments have a balcony and large windows. Each apartment has a kitchenette and bright décor with colorful bedspreads. The hotel’s snack bar serves a variety of light meals. The one-bedroom apartments and the two-bedroom apartments are located in separate areas of the complex. The main outdoor swimming pool is just steps from the children’s pool. Sports offered at Hotel Quinta Das Figueirinhas include lawn volleyball and billiards. 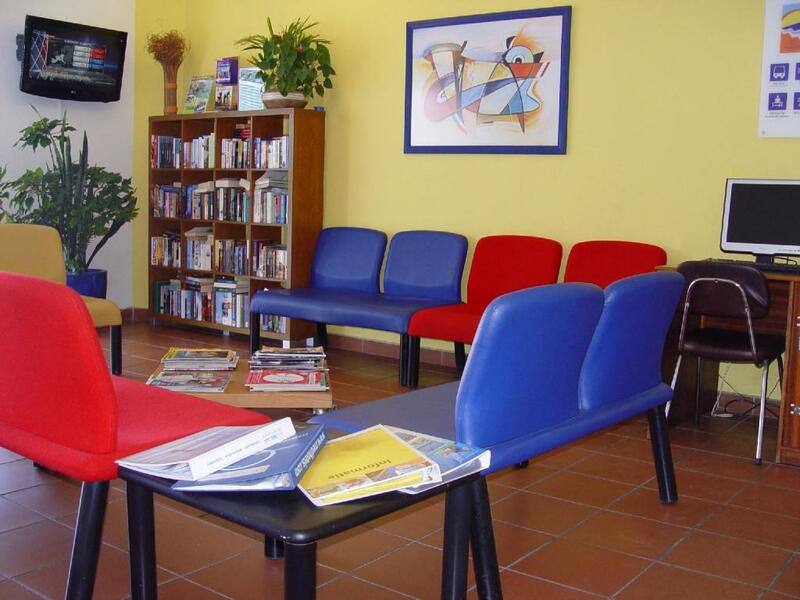 Car rental services and daily breakfast in the hotel’s restaurant are also available. 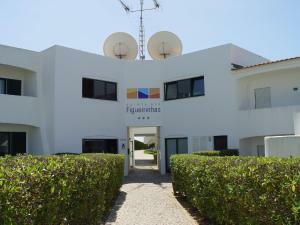 When would you like to stay at Quinta Das Figueirinhas & Quintinha Village? This spacious apartment with air conditioning in bedrooms features floor-to-ceiling windows and art paintings hanging on the walls. It comes with satellite TV and a seating area with sofas. It also includes a kitchenette with a microwave and a tea/coffee maker. This duplex apartment has a small private garden and accommodates up to 6 people. It features 2 air-conditioned bedrooms, a kitchenette with a stovetop, an oven, a dishwasher and a washing machine. A satellite TV and WiFi access are provided. A family business over 30 years, now managed by the second family generation. Safe, quiet, friendly staff, family friendly, great value for money....... your holidays! House Rules Quinta Das Figueirinhas & Quintinha Village takes special requests – add in the next step! Quinta Das Figueirinhas &amp; Quintinha Village accepts these cards and reserves the right to temporarily hold an amount prior to arrival. Quinta Das Figueirinhas & Quintinha Village accepts these cards and reserves the right to temporarily hold an amount prior to arrival. Please note that the one-bedroom apartments and the two-bedroom apartments are located in separate areas of the complex. Please note that beverages are not included in any half board or full board arrangements. Please note that from 1 April until 31 October, apartments will be cleaned 5 times a week, with linen changed only after 7 nights, and towels changed once per week. From 1 November until 31 March, apartments are cleaned 3 times a week. The restaurant will be closed from 1 November to 31 March every year. During this time no meals are served. Guests booking a nonrefundable rate and requiring an invoice should include their invoicing details (name, address and VAT number) in the Special Requests box when booking. Please note that half board and Bed & Breakfast rates are available only from 1st April until 31st of October. Please note that half board rate is available for an additional EUR 22 per person per day. Nothing really. Everything was excellent. We were there out of the season and many restaurant were closed. So in order to find something to eat, we had to drive with a car 5 minutes minimum. If we did not have a car, it would be extrem difficult. But I guess in the season is not like that and the hotel complex offers all. Many ants in the bathroom and in the whole apartment. Bad smell in bedroom, any hairdryer in the apartment. Price was very good, apartment was big. The entire experience was a joy. We suffered a close family bereavement just after our arrival, the reception staff were most sympathetic and helpful when we were arranging to return to Ireland for a few days to attend the funeral, their assistance was greatly appreciated. All staff domestic, groundsmen and administration were most impressive and extremely pleasant. We would recommend unreservedly the Quinta & Quintinha. Just ten minutes walk from the beaches. Spacious, clean rooms. Well-kept area with a swimming pool. 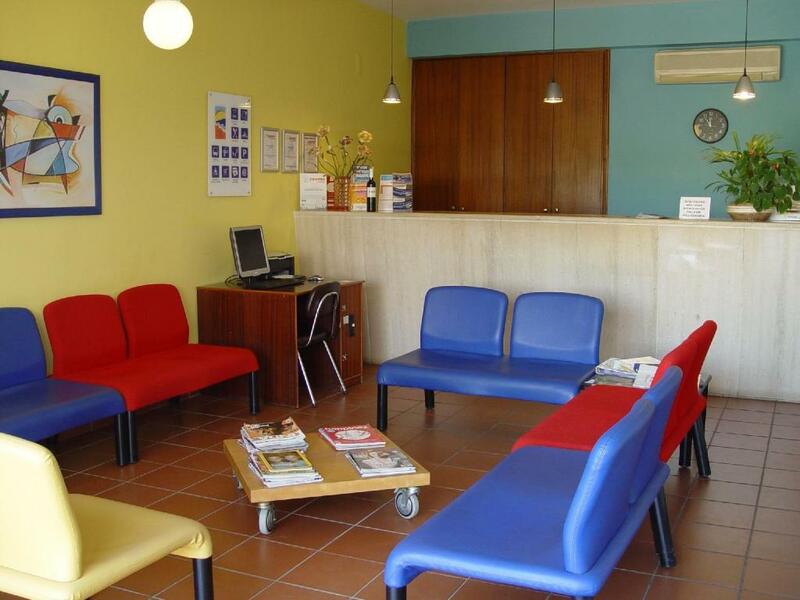 Walking distance to a large supermarket. Very quiet at night. 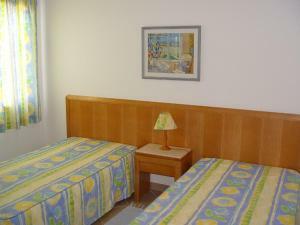 Its worth booking a 2 bed apartment with a family, we had our own garden and roof top terrace, a comfortable double bed in one room and 2 single beds in the other plus a sofa bed that pulled out into 2 beds. It has a microwave, oven, coffee maker, washing machine and a dishwasher, sunloungers and patio chairs to relax outside. Our row of apartments had our own communal good sized pool and a small pool for the little ones, with a small play park also. I would also advise to hire a car during your stay, we have been a few times and wouldnt do without one, having the freedom to visit and explore the different towns and beaches is brilliant, roads are mostly quiet and very easy to drive on even for a nervous driver. Would have been nice if the pool wasn’t cold, and would be nice if the kitchenette had some soap, sponge, or coffee packets. watering system could be turned on a bit later than 11:30for front garden and 12:30-1am on back garden. As first night we arrived late and got cought with watter while where sitting in a back garden. Location, cleanless,nice apartament itself,good value for money. Also our checkin was extended till 16:00 by request, as we had a little baby. The rooms were spacious and had comfy beds. Apartment also had a nice balcony with table and chairs where you can enjoy your coffee in the morning. Air -con was a big plus.